… you pull open a drawer to find this mess of used adhesive cartridges. Yikes! 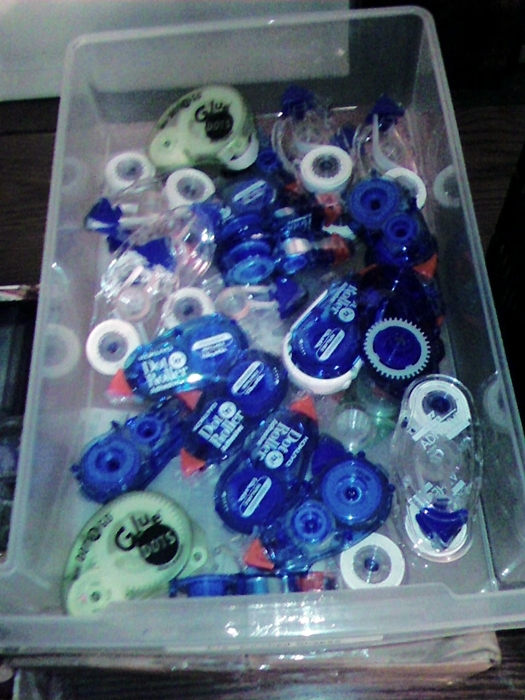 I counted 16 Kokuyo, 11 Tombo, and 2 Glue Dot rollers in this drawer. I’m not sure why I didn’t throw them out earlier but it’s definitely a testament to the fact that I use a lot of adhesive in my hobby! This entry was posted in cards, crafts by shortcakescraps. Bookmark the permalink.